Contact the main CNELC office. GW's Latin Teaching Internship helped Adam LaFleche ('14) bring Latin to local D.C. schools. For more information on both the internship and Adam's accomplishment, click the title above. Classics Student lands Supreme Internship! From Corinthian columns to the influence of Justinian, Matthew Beers (’18) shares how his Classics background helped him at his internship at the Supreme Court. If you'd like to read his full statement, click the title above. Congrats to GW Student Gage Cohen for completing an internship at the Whitehouse! Here's what he has to say about how his Arabic helped him. Welcome to the Department of Classical and Near Eastern Languages and Civilizations! The Department of Classical and Near Eastern Languages and Civilizations is devoted to providing students with a unique learning experience. Offering Greek, Latin, Hebrew, Arabic, Persian, and Turkish, as well as courses in ancient history and civilizations and the modern Middle East, our department prides itself on a unique configuration and blend of professors focused on both research and teaching. We are the only department in the United States that has two professors who have won the national "Excellence in Undergraduate Teaching Award" from the Archaeological Institute of America (Cline in 2005 and Friedland in 2012). We are also one of the few, if not the only, department in the United States to offer both a major in Classical Studies and a major in Arabic Studies. Our curriculum strengthens a student's ability to communicate, reason, and understand the social, cultural, and physical environment of the ancient and modern worlds. The department fosters careful and creative thinking in our students, based in the linguistic, cultural, and historical roots of the rich, varied, and strategically important societies of the Mediterranean basin. Utilizing the diverse resources of the Washington, D.C. area in fulfilling our linguistic and cultural mission, we provide students with field trips to and assignments at local museums, walking tours of Classical Washington, promotion of foreign films and lectures, and cultural programs and internships at embassies. We have arranged internships at Washington institutions, including magazines and professional journals, National Geographic, the Smithsonian Institution, Dumbarton Oaks, the Middle East Institute, and other area resources. Our students have opportunities to study abroad, most recently in Greece, Italy, Israel, Morocco, and Europe, and are assisted in finding opportunities to participate in excavations around the world. 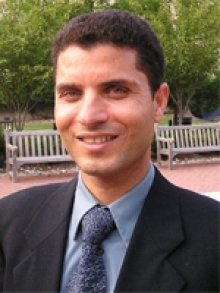 Professor Mohssen Esseesy is currently both Chair of the Department and Co-ordinator of the Arabic Program. He received his B.A. from Cairo University; Post-graduate studies at Leiden University in the Netherlands; M.A. from University of Michigan, Ann Arbor; and Ph.D. with Distinction from Georgetown University. His scholarly activities include a book entitled Grammaticalization of Arabic Prepositions and Subordinators (Brill 2010). and the articles (“Appositions”, “Grammaticalization”, “Reanalysis”, Semantic Bleaching”, and “Semantic Extension” in the first and only Encyclopedia of Arabic Language and Linguistics, also published by Brill. He has presented numerous academic papers on Arabic and Semitic historical linguistics at annual meetings of the Middle East Studies Association of North America.